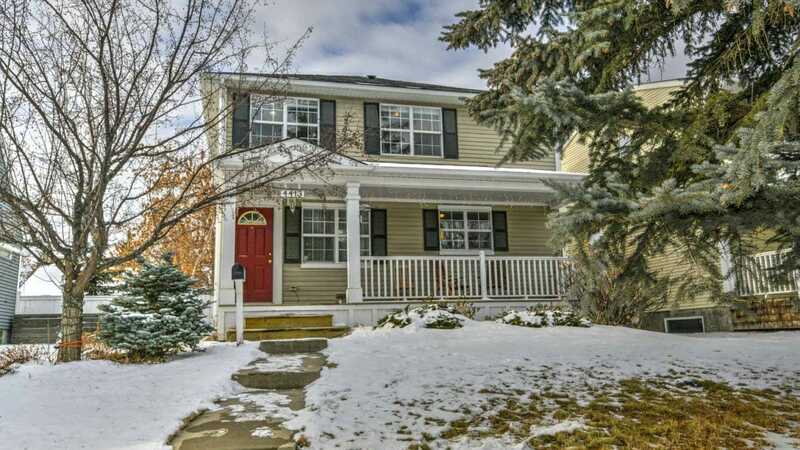 Gorgeous Garrison Woods character home that combines classic charm with modern touch. This home is situated on a large 39’6” x 128’6” lot featuring a beautifully landscaped south back year, mature trees, perennial gardens, a 2-tier deck, 2 car garage and parking pad for a 3rd vehicle. The open-concept main floor boasts a large maple kitchen with breakfast bar and granite counter tops; this opens to the living room/dining room with a gas fireplace making this space perfect for entertaining. Lovely hard wood floors on main and upper floors. The upper floor features 3 bedrooms including an enormous master bedroom with 3 closets. This was originally 2 separate bedrooms and can be easily converted back to expand the 3rd bedroom or make it 4 rooms up. The fully finished basement has a large family room, a nook in which the current owners have a bed, and a 3 piece bathroom. This home is walking distance to many great parks, shops, pubs, schools and all amenities.